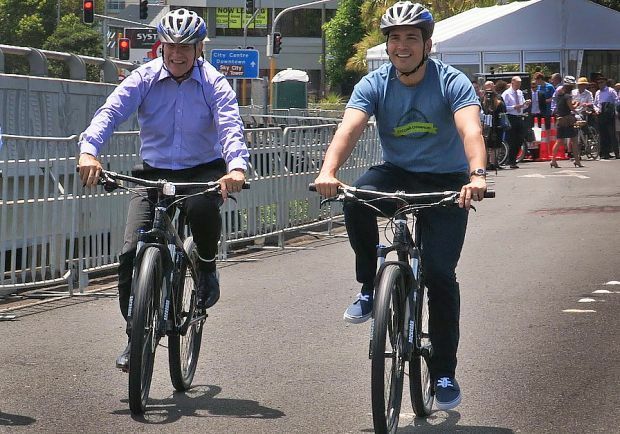 Auckland's Mayor Len Brown, and the Minister of Transport Simon Bridges joining forces on a cycleway, but does the Government have to find new ways or working in Auckland?" Auckland, by world standards, is not only disproportionately large compared with the rest of the country, but also vastly more diverse and growing faster than other parts. Commentators and analysts argue that increasingly, public service chiefs are out of touch with Auckland's challenges, and that the consequences of staying out of touch will be serious. In this Insight highlight, Radio New Zealand's Auckland correspondent, Todd Niall, looks at whether the Government needs to radically change the way it makes policy for, and operates in, the country's biggest city.